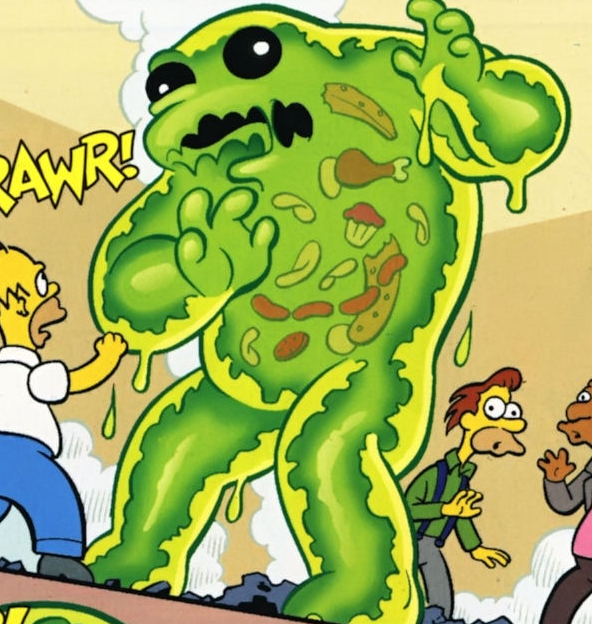 Gastro was a monster created by Homer when he dropping his lunch bag into a radioactive vat. After Bartman creating the Corrupted robots has Homer create, Gastro, a mutant by dropping his lunch bag into a radioactive vat, arrived causing chaos, which Bartman and the robots teamed up to defeat. Holmium, with the rest of the robots, tried to defeat it, but due to the large amount of chemical preservatives, they were insufficient. Bartman got Apu's expiry date changing sticker gun, and used it on Gastro, marking it to expire May 1995, causing him to blow up. When Bartman gives Apu back his gun and see that he sells sandwichs from the remains of the monster. 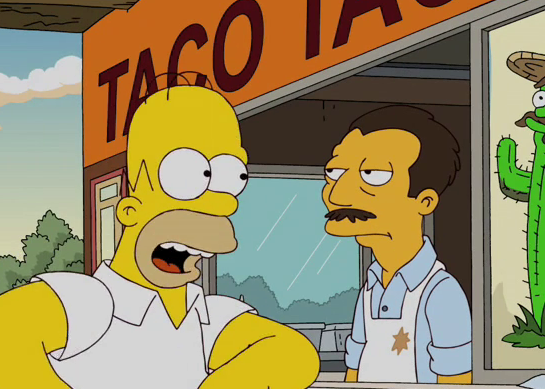 Homer then enters the Kwik-E-Mart and buy the sandwich and tells Bartman that he would like to be a superhero as him. Bartman tell when you have a super power, an iron stomach. Modified on January 15, 2016, at 14:08.